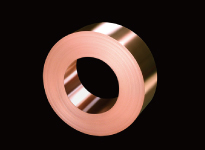 Copper is used for residential and office environmental equipment, such as air conditioning and refrigeration, pipes for heat exchangers in food-processing facilities, and plumbing parts, such as heat-insulating sheathed pipes, joints, and valves. (with rippled fins, small, medium and large fins). 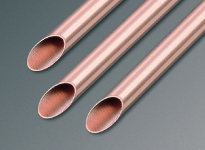 Copper tubing for air conditioners, heat exchangers, for in-floor heating, for supplying hot and cold water, etc. 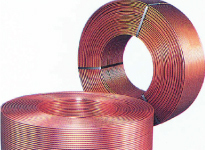 Copper plate for electrical equipment and for construction, and copper foil for lithium-ion batteries, etc. 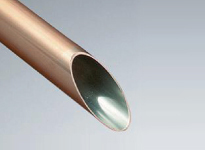 With its corrosion resistance, good workability, and economy, copper tubing is great for plumbing. It is used for various plumbing applications including supplying hot and cold water, in air conditioning, and in various medical fields. 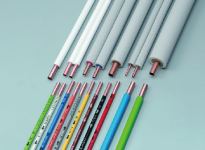 With grooves inside and outside the tubing, smaller diameter tubes can still provide excellent heat transfer.We supply a range of products, including items with small and large fins, and also complex-geometry high-performance tubing. Copper alloy tubing, with its excellent corrosion resistance in seawater, is used in power plants and in condenser tubing for seawater desalination. Clad tubing is widely used, in residential air-conditioning refrigerant plumbing, building facilities, and for medical use and so forth. 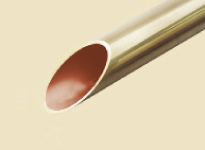 The interior of STC copper tubing is coated with zinc, to keep the loss of ionized copper to a minimum.It has good resistance to pitting and erosion. This is used for electronic parts, lithium-ion batteries, and in construction materials.